He knew the end was nearing. Srinivasa Ramanujan, mathematical prodigy, hastily scribbled formulas after formulas on loose sheets of papers. He told his wife, Janaki Ammal, his work would bring laurels and perhaps bring them out of poverty and want on day. The illness did not permit him to write, yet he wrote first on a slate and then copied final results on paper. The sheets of papers, discovered fifty years later, created ripples in the quiet world of mathematics. Armed with this new tool, physicists are today exploring the stuff the universe is made of and trying to understand objects like black holes. “The formulas that Ramanujan had put in his so-called last notebooks could not have resulted from pure computations because the methods to do such computations were worked out only in the late 1970s and 1980s, many years after his death. He must have had deep insights. 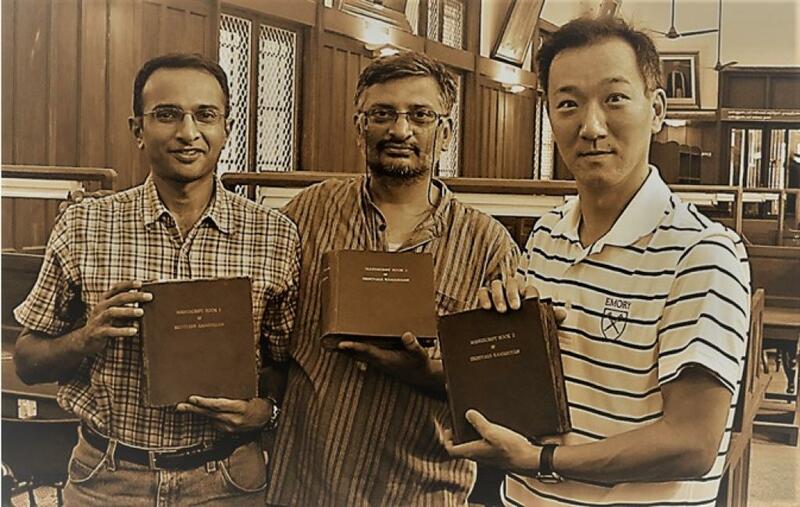 It’s puzzling how he came to these findings,” Ken Ono, professor of mathematics at Emory college and vice president of American Mathematical Society, told India Science Wire. Prof Ono is well known for a work based on Rogers-Ramanujan identities, which can be used to produce algebraic numbers such as phi (Golden Ratio). He served as an associate producer and mathematical consultant for The Man Who Knew Infinity, a feature film about Ramanujan’s life. His recent memoir My Search for Ramanujan: How I Learned to Count (co-authored with Amir D. Aczel) recounts how Ramanujan has been an inspiration in his own life when as a 15-year-old boy he was struggling to find his call. “Don Zagier made sense out of Ramanujan’s mock theta functions, and German mathematicians Jan Bruinier and Jen Funke developed a general theory. Armed with these advances I and Kathrin Bringmann proved a number of theorems on Ramanujan’s mathematics,” Prof Ono said. Surprisingly in 2010 scientists found a profound and precise relationship between Ramanujan’s cryptic mock theta functions and hottest item in theoretical physics - string theory and black holes. “The conjuncture called ‘umbral moonshine conjuncture’, derived from the work of Ramanujan is crucial to understand a fundamental question that physicists have been asking so far; what is the universe made of? The very same mathematics would illuminate the behaviour of black holes,” explained Prof Ono. December 22 is the birth anniversary of Ramanujan, and observed as National Mathematics Day. 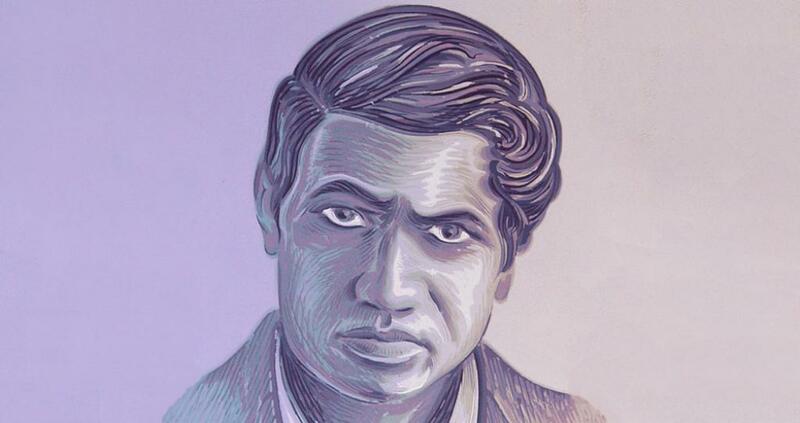 Like his mathematics, Ramanujan’s illness was too an enigma. Was it the unfamiliar cold, damp weather of England or unavailability of diet that suited to his taste and custom or malnutrition resulting from adhering to a strictly vegetarian diet or erratic research hours? One can’t tell why Ramanujan’s health deteriorated during his stint at Cambridge. Although he was diagnosed with tuberculosis and severe vitamin deficiency that confined him to a sanatorium in 1917, doctors were not sure of what afflicted him. With health showing signs of some improvement in 1918, he longed to see and be with his wife, whom he had left in India just immediately after marriage, five years ago. When both got married, in 1909, Ramanujan was in his twenties and Janaki Ammal was just a ten year old girl. Ramanujan returned to India in 1919. By then the world of mathematics was looking at him with awe. Just a year ago, in 1918, he was elected to the Royal Society. Only 30, he was one of the youngest Fellows in the history of the Society. He had a bright career ahead in mathematics. He reached Mumbai on March 27, 1919, and returned to Chennai to the loving arms of Janaki Ammal, who was in her twenties, hoping to commence his family life and pursue a career in mathematics. As a Brahmin who had crossed seas and branded outcast by the orthodoxy, he was denied house for rent. A wealthy gentleman came to his rescue and permitted him to live in his outhouse. Once again he relapsed into his unfathomable illness. Within few months, in spite of care given by his wife, he died tragically at a young age of 32, on April 26, 1920. The mysterious illness is now believed to be an intestinal parasitic infection. It was fully curable, had there been a proper diagnosis. Considered an outcast, only a handful attended his funeral. During his last days, though suffering from ill-health, Ramanujan worked on and produced thirty-odd pages of mathematics, in his characteristic style of pages after pages of formulas on a new area of mathematics that he had singularly worked out - mock theta functions. These functions behaved differently from the known theta functions, hence ‘mock theta’, and yet closely mimicked them. Carl Jacobi’s modular forms, the theta functions and Ramanujan’s mock theta functions behaved differently except for values of roots of one. Janaki Ammal later recalled that Ramanujan treasured this work and said these pages are precious and would bring great laurel. Alas, before he could complete his work and publish them, Ramanujan died. After Ramanujan's death, Janaki Ammal gathered these papers and sent them to G H Hadry, British mathematician and patron of Ramanujan in England. Promptly, the papers were placed in the Trinity College’s Wren Library.